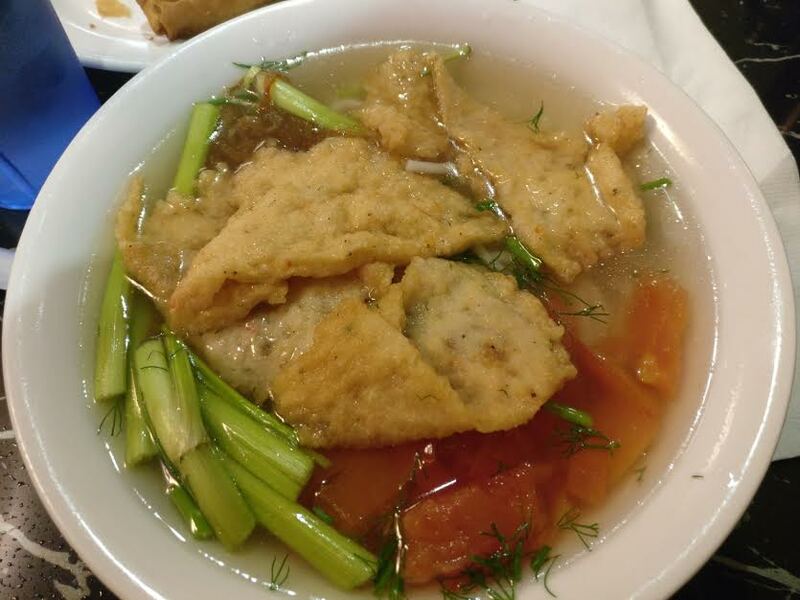 I really enjoy eating Vietnamese food – it is delicious, cheap, and filling! 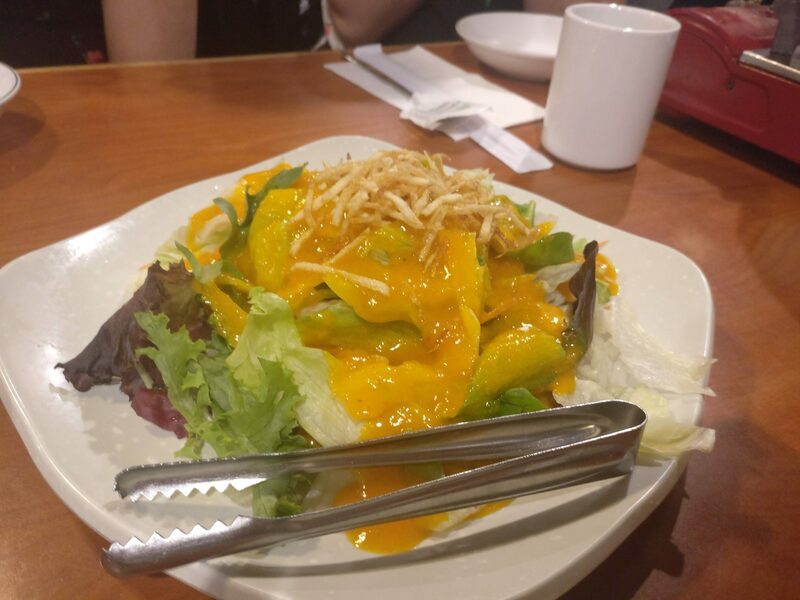 One night, I was feeling like trying a place that we haven’t gone to and trying out other Vietnamese dishes that weren’t a pho or lemongrass dish. After some Yelping, we came up with Mui Ngo Gai because they had a big menu offering different types of Vietnamese food that we don’t usually order, and a high rating online! Mui Ngo Gai is located on Kingsway and Victoria, where there is a plethora of Vietnamese establishments. There was easy street parking outside and along the small streets, and they also have a small parking lot that could probably fit about 3-4 cars in the back. 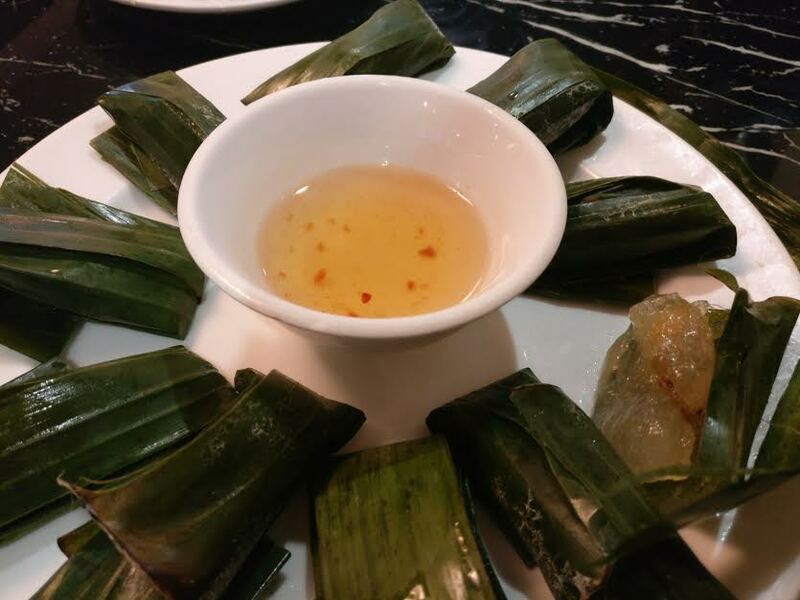 Steamed pork and shrimp tapioca dumpling: I was in the mood to try something new, so I ordered this! Well, it backfired on me because it wasn’t what I was expecting. It came with tiny dried shrimp and a very small amount pork. The texture of the tapioca was very sticky and goopy too. I ended up only eating one, and packing up the rest for my parents. No regrets ordering it though, I wanted to try something different! Spring rolls: The boyfriend ordered his usual spring rolls to go with his pho. 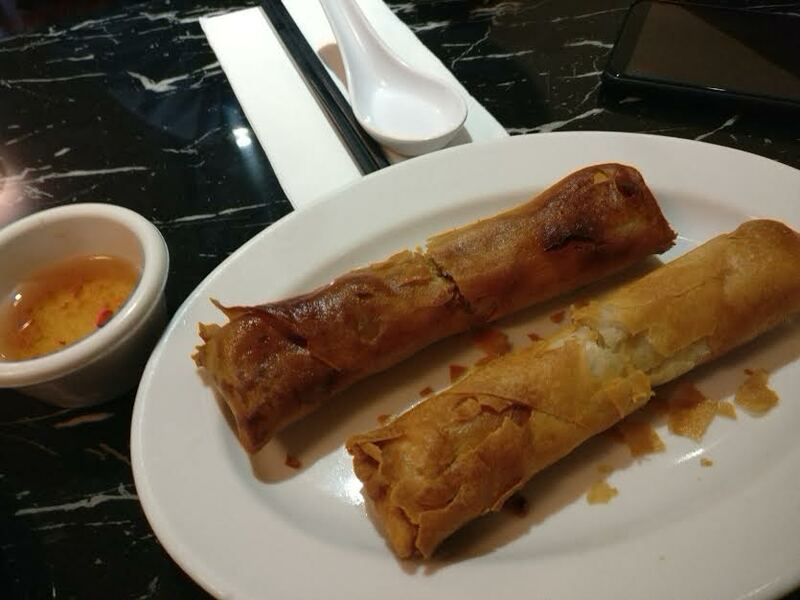 They were served differently than what we were used to, in that they use the smooth spring roll skin instead of the rough skin. Taste wise inside, they were delicious and had a decent amount of filling inside! 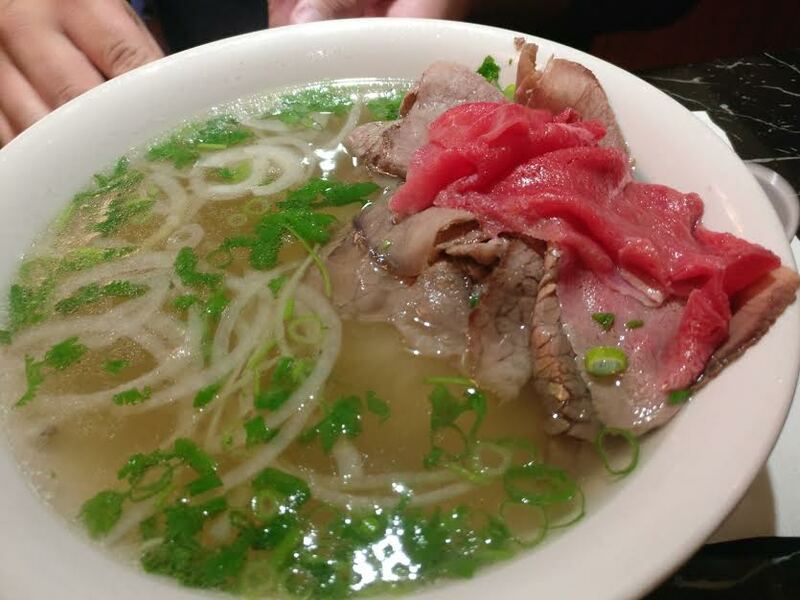 Rare beef and flank pho, large: The boyfriend was quite satisfied with his pho! He marveled at the quality of the beef flank and rare beef. 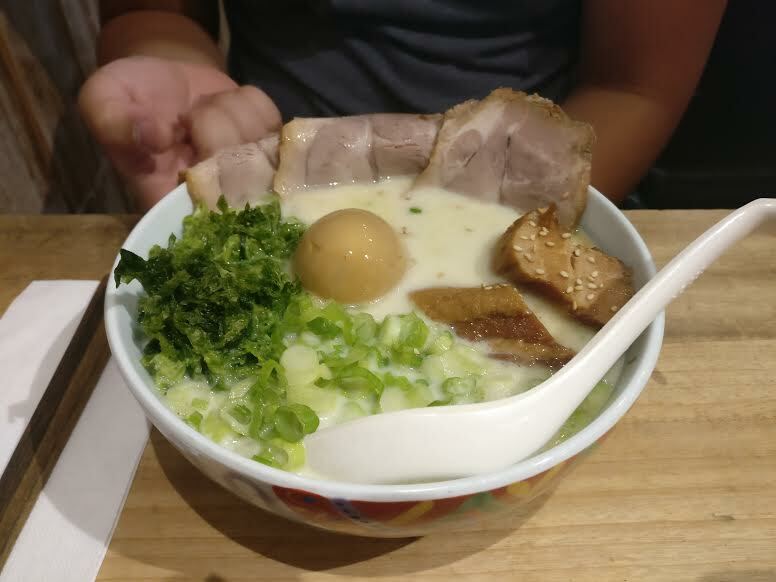 It was a comforting bowl of noodles which filled him up. 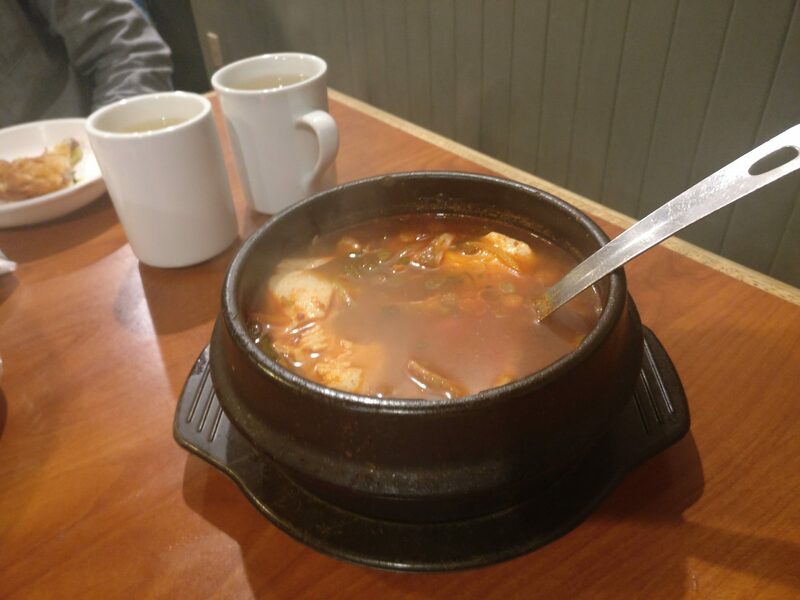 Crispy prawn & fish patty soup: Continuing my adventurous streak that night, I ordered a bowl of noodles that I haven’t had before! For those who haven’t had this before, I would best describe it as large flat pieces of fish cake with some prawn. I found it delicious because I love my seafood! Soup wise, the broth was light and had a hint of tomato and sweetness. The fresh dill was a nice addition to the soup and gave it more dimension. It was also my first time having Vietnamese water celery, which I would describe was a thinner version of regular celery. All in all, our meal at Mui Ngo Gai was tasty and left us satisfied. The service was quick and friendly as well. I would love to try more Vietnamese places in the Kingsway/Victoria area as there seems to be a lot! 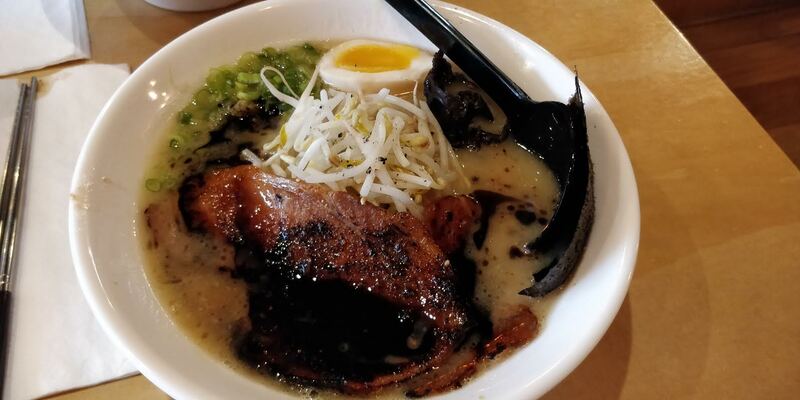 The boyfriend and I didn’t know where to go for lunch one day, so we decided to go to East One because it’s been a few years since we came here. East One has gone through many name changes and possibly owner changes throughout the year. Growing up as a kid, I remember coming here but it was a different name. 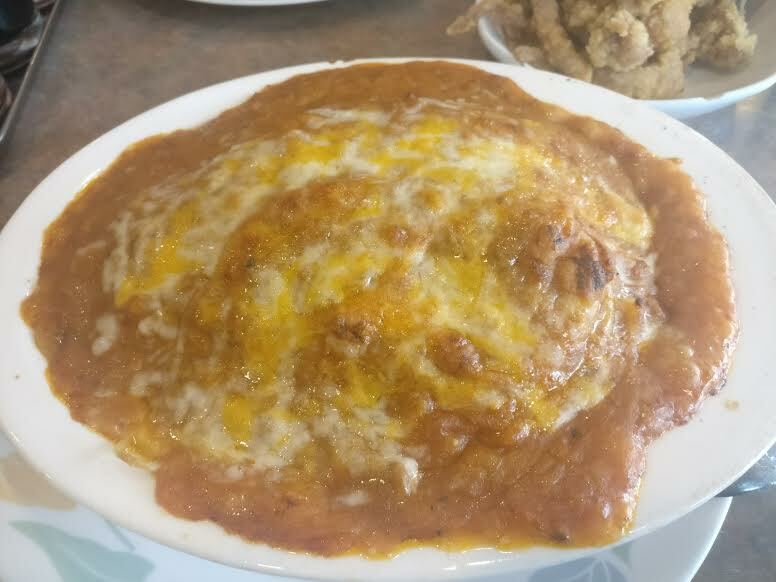 I also did a review of this place for their late night snacks back when it was called Venice Garden Seafood Restaurant – not sure if the owners are the same or not though. The cuisine has always remained the same though – Hong Kong/Chinese comfort food. We definitely over ordered but we brought the rest of it back for his little brother, who likes the food here! Spaghetti bolognese: I’ve been ordering this dish for the past 15 years or so of my life (minus the 3 years I couldn’t have dairy), and don’t plan on switching anytime soon. 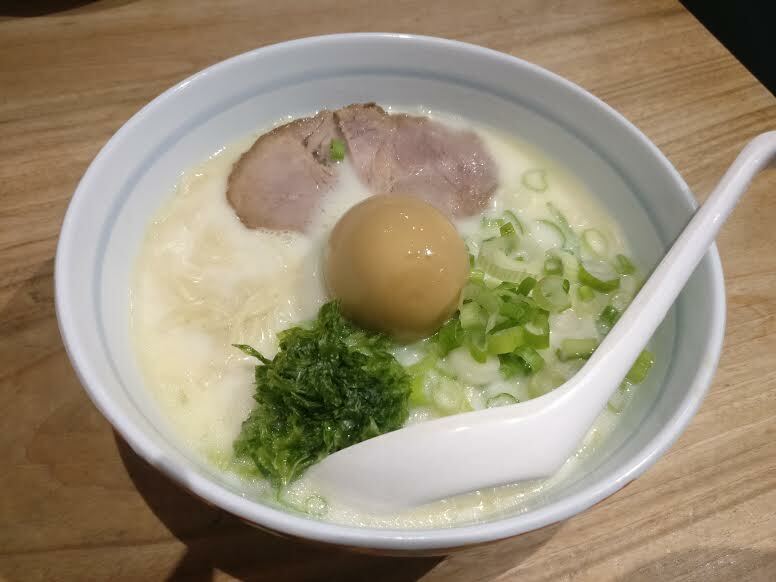 It’s my comfort food and it usually tastes the same, but there are some restaurants who don’t make it as well. This is the boyfriend’s little brother’s comfort food too and he is quite picky about it, but he likes the one at East One so I ordered it. It did not disappoint! There was a generous portion of meat, and there was enough sauce to evenly distribute it with the noodles. It was also cheesy as well. It was a delicious carb heavy treat! The portion is pretty big and I ended up packing half of it back. 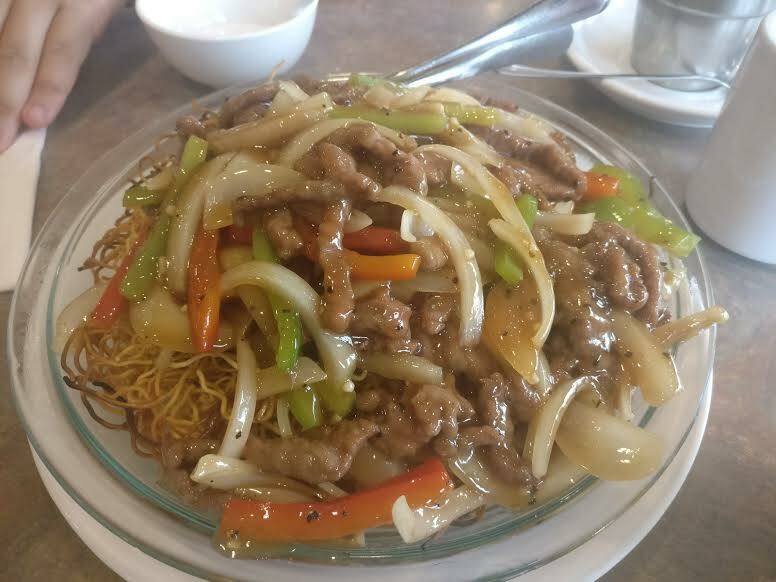 Pepper beef with crispy chow mein: Another classic comfort food! This was a pretty big portion which we ended up bringing back home as well. There was a generous portion of beef. Meanwhile, the sauce was peppery and delicious. The chow mein was crispy too. Overall, no complaints about this! 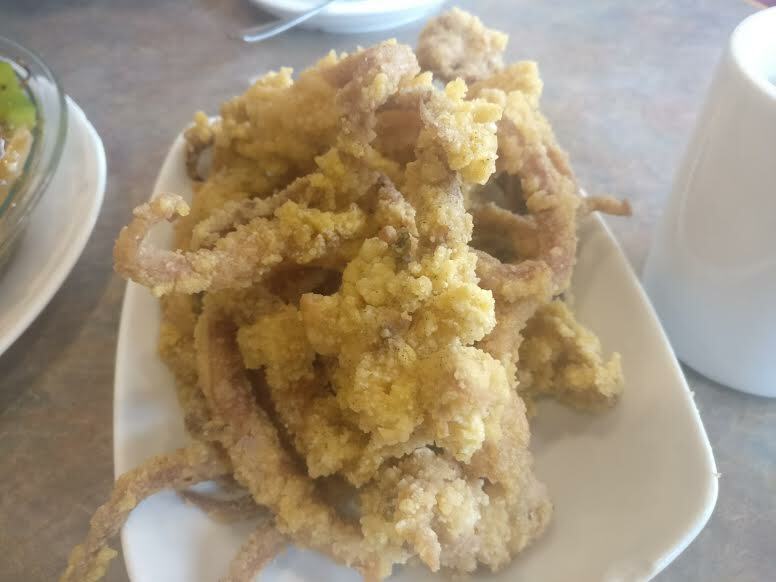 Deep fried squid: This isn’t a traditional comfort food at Chinese/Hong Kong style restaurants and more of a Taiwanese dish, but the boyfriend’s family loves the squid here so we gave it a try. The batter was fresh and crunchy, with a good amount of squid. Chinese/Hong Kong style restaurants are plentiful in Vancouver. East One is a decent option, at least for the things that we ordered. They also have many servers working so the service is quick and efficient. An added bonus is that they are not cash only! It was Sangria’s birthday, and a dinner celebration was in store! 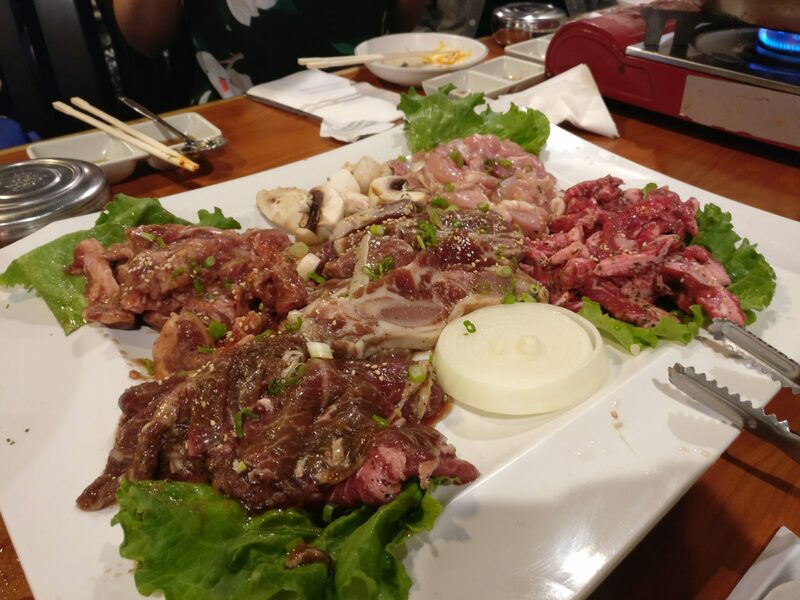 We all went to Korean BBQ to celebrate. 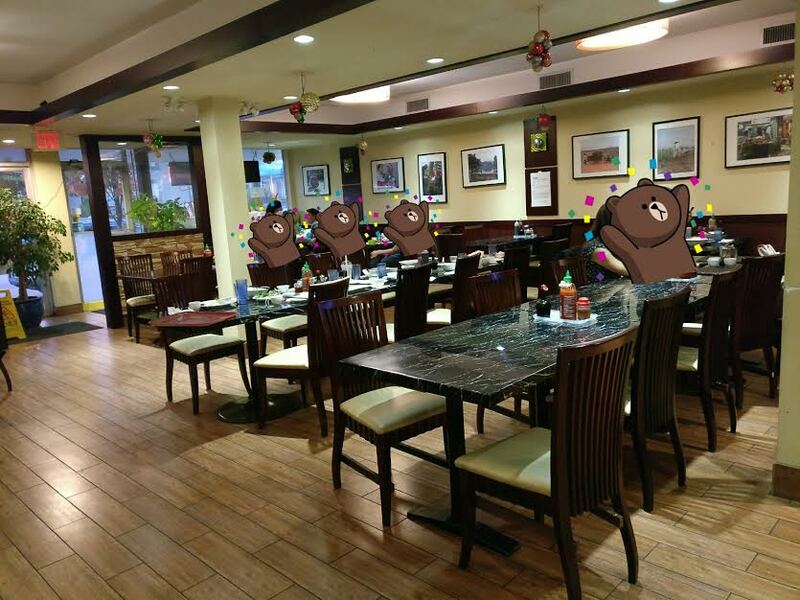 Since it was a large group of 18 or so, they gave us a semi-private room which had another group of 10. At first, the room was really chilly but once the BBQ started, it was really warm in there! Since there was 18 of us or so, we were split into 3 different tables. Each table of 6 split the giant BBQ meat combo, which was a better deal than getting everything separately. 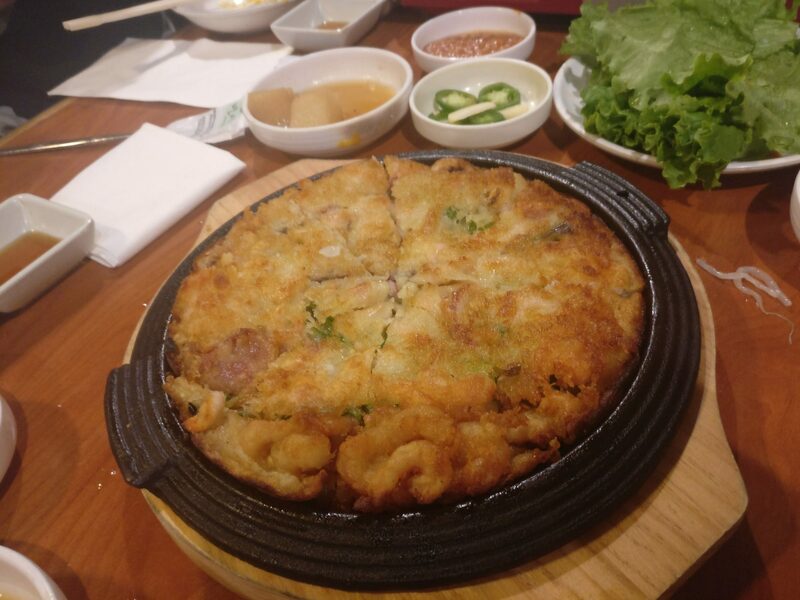 Seafood pancake: The seafood pancake was smaller than most, but that was fine since we had more food coming. It was crispy and had a good amount of seafood in it! 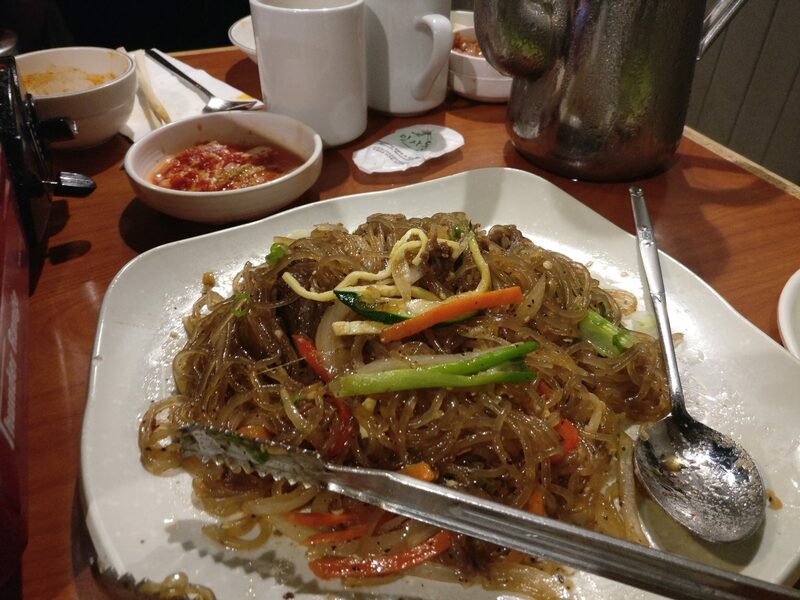 Japchae: The japchae was delicious! It was seasoned very well and a bit more towards the salty side, but not overly salty. Korean glass noodles are so good! Salad: Can’t forget our greens right? The salad was a big portion for 6 people. All of the vegetables we’re fresh. My favourite part was the sauce. It was some sort of sweet tangy fruit sauce. I had seconds and thirds of this because of how delicious the sauce was. Would love to learn how to make this at home! Assorted BBQ meat: The star of the show- all the meat! We had different kinds of meat which were already marinated. 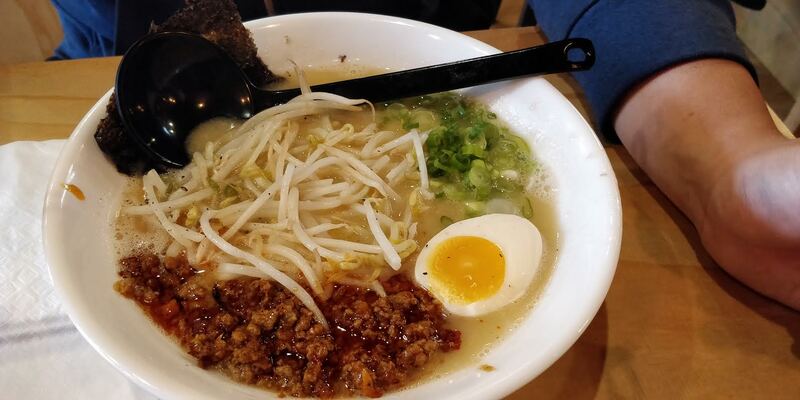 Beef, chicken, and pork… Mmmm. I forgot to take a picture of the finished product, but believe me when I say all the meats were seasoned very well and had lots of flavour to it! It was a very delicious dinner and I would love to come back with a group for the combo again. It was such a fun night and my stomach was so satisfied!